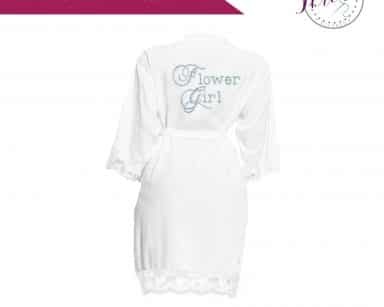 At wedding Threads we are one of the biggest suppliers of children’s flower girl and Mini Bridesmaid dressing gowns. 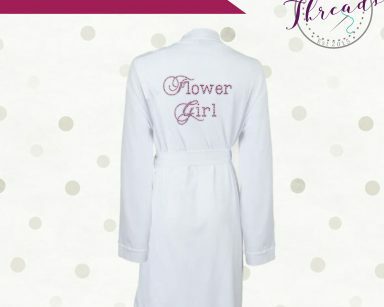 Along with children’s personalised Hoodies. 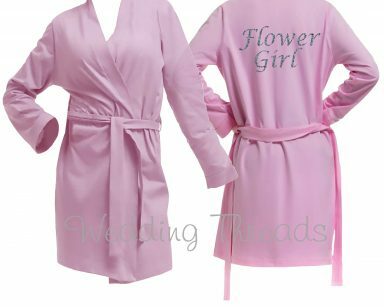 We have the delicate kimono style satin flower girl robes in a rainbow of stunning colours. 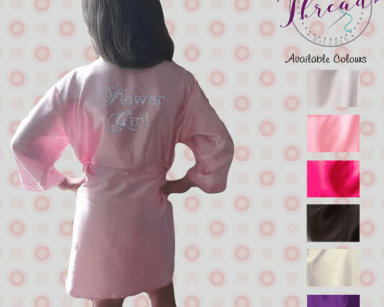 Our children’s dressing gowns come in a good range of sizes from 2 years old right up to 11 years old. And even more, we have various fabrics. 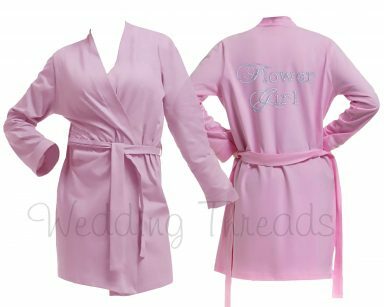 So we have children’s cotton dressing gowns, satin dressing gowns. 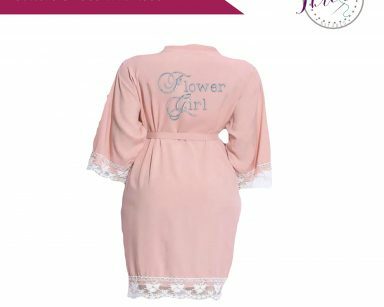 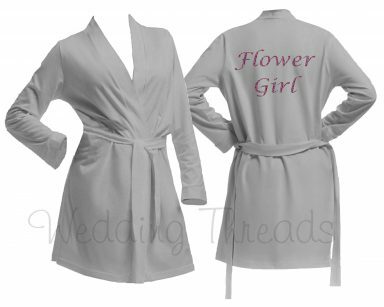 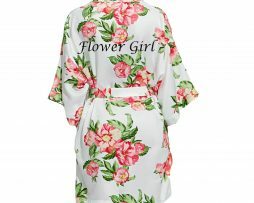 Even more, we have all the flower girls matching robes for the Lace dressing gowns and floral flower girl robe too. 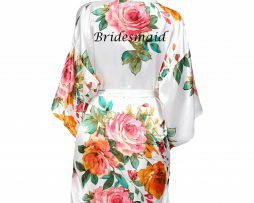 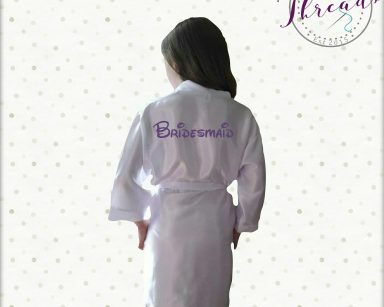 Make the little ones feel special and part of your wedding preparation photos, with gorgeous personalised children’s robes. 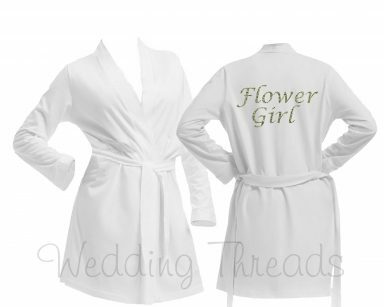 These make great gifts and a good memento of your special day. 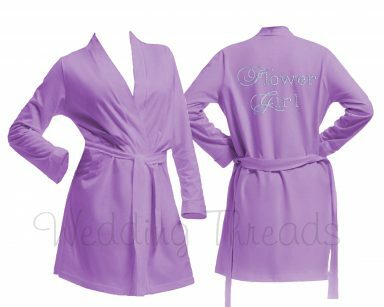 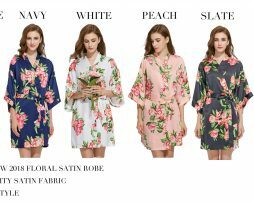 We have so many colours available both in the satin robes & cotton that coordinate with the adult Bridal Party robes.